In November, WebExtensions became the most common type of add-on submitted to addons.mozilla.org (AMO), accounting for 65% of all new submissions. As of mid-December, AMO has more than 1,400 listed WebExtensions averaging three million daily installs (roughly 12% of all AMO add-on installs). About 200 of these WebExtensions are ported legacy add-ons, such as Amazing TTV—a fancy Twitch tool that allows for dozens of customizations, like altering text and color layouts, removing clutter in the margins, and tweaking the chat experience. Advanced History presents your personal navigation data in a nice visual layout. Pie charts are more interesting when they’re about you! Despite the fact it reveals how much time I waste watching videos of cats licking themselves, Advanced History delivers a fascinating overview of your Web navigation history. And if you’re going to spend your precious time watching cat licking clips, go all the way with Magic Actions for YouTube™. This YouTube enhancer presents a fine bevy of features, like auto-play in HD, one-click snapshots of just the contents of the video screen, annotation muting, plus a bunch of fun visual effects and cinema modes. Have you ever encountered an interesting image on the Web, but there wasn’t much context explaining what it was or where it came from? Check out Image Search for Google. It’s super simple—just right-click any image and the add-on will return surprisingly accurate results. 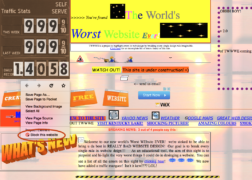 Never want to see some heinous website again? Block Site takes care of that. Block Site does what it claims. Right-click on any Web page you want to avoid in the future and select “Block this domain” from the context menu. Presto—it’s like it never existed. It dawns on me I tend to gravitate to add-ons that serve a singular, powerful function. Here’s another one: One-click Screenshot. What’s nice about this add-on is it takes a screenshot of the entire page, not just what’s in view. This is ideal for folks who need to grab the full contents of large pages, like students who access dense academic sites. 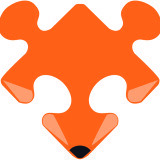 Many thanks to all the developers out there producing really solid WebExtensions! It’s exciting to see the technical evolution unfold. If you’re a developer of a legacy add-on and interested in learning more about the porting process, this is a good starting point. Or if you want to write a WebExtension from scratch, this should help. Is there any way to tell, prior to installing, if an add-on is a WebExtension add-on or not? When exploring new add-ons, I would like to know ahead of time, how forward-facing they are. Unfortunately not, Andrew. In my case I have colleagues at Mozilla who execute specific content queries to alert me of new WebExtensions. Great post on web extensions and how to review use in visual pie chart. Keep up the good work!